MySpace was first launched in 2003 as a social networking site. It became the most popular in the scene before Facebook took over the web. When the latter was launched, MySpace slowly declined on the number of followers. It was redesigned several times in order to keep up with the competition but failed. In 2011, Specific Media Group and musician Justin Timberlake purchased MySpace. They redesigned the site to focus mainly on music, while still having the touch of a social networking site. Today, the site is steadily growing its number of users with multitude of music in video format. Music enthusiasts can create playlist, queue songs and start a radio station from a song. Then, more and more people want to convert MySpace to mp3 for listening to the songs on computer, music player or mobile device without having to access the site. There are various applications that let you download, as well as convert music videos from the site to mp3 format. While some of these programs let you convert songs to other formats, mp3 is the best choice since this is compatible with most players. It is the standard audio format on majority of media players and devices so you should not have problems playing mp3 files whatever player or device you are using. This is an easy to use, fast and reliable application for downloading streaming videos on the Internet. It supports multiple downloads so you can download as many videos as you want simultaneously. There is no need to wait for one download to finish before being able to download another video. 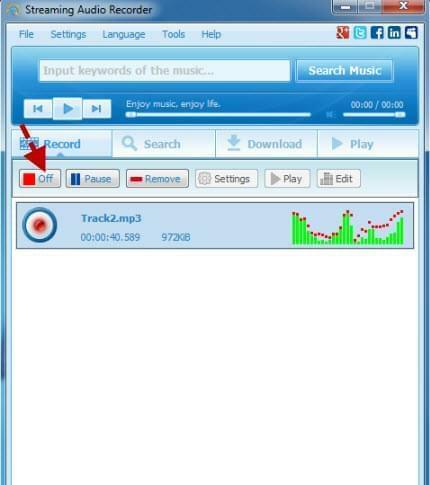 Launch the application, access the video that you want to convert from MySpace to mp3, copy the URL of the video and paste it to the URL field on the program. This will automatically download the video. Click the Convert tab to convert videos to other video or audio format. Video Download Capture supports wide range of video and audio formats including mp3, MP4, AVI, MKV, FLV and more. Aside from video download and conversion, it offers more features that you will enjoy like the ability to record what’s on your screen and editing videos by cropping, trimming, adding effects and subtitles. It comes with a free trial that you can download to test its features without a cost. If you want streaming videos or even audios to be automatically converted to MP3, Streaming Audio Recorder is a good choice. It will record any audio playing on your computer. If you have a microphone attached, you also have the option to capture audio using it or using both the microphone and computer system. This MySpace mp3 converter is also uncomplicated to use, which is great even for non-tech savvy users. Play the music or sound that you wish to save and click the record button on the program. Turn off recording once done and you have the mp3 file downloaded. It also allows editing of songs, play online radio stations, as well as download music for free from its built-in music downloader. One of the best additions to its features is its id3 tagger. Details about the song like the artist name, album, year, genre, etc. are automatically populated so you don’t have to search for the information and manually enter by yourself. You can bulk identify music track information, which is convenient. It’s another tool which helps to convert MySpace to mp3, you can take the advantage of free trial before purchasing the full version. It can download videos from different sites including MySpace and YouTube and convert them to your preferred audio format. Set the file format for the output on its options so it will be automatically converted on that format when downloaded. Some of the formats supported are mp3, wma, ogg, aac, m4a and ac3. It also comes with automatic tagging of music information and MusicScraper that lets you search for music to download using the program. It’s hard to say which is the best MySpace to mp3 converter since these three applications are all efficient in downloading and converting MySpace videos to MP3. 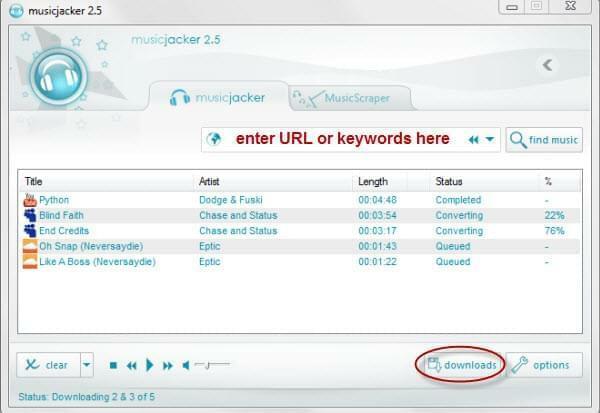 The first two options have more features to offer than Musicjacker, making them better choices. If you would like a copy of the video or you would like to convert to other video formats aside from mp3, then Video Download Capture is the best choice. 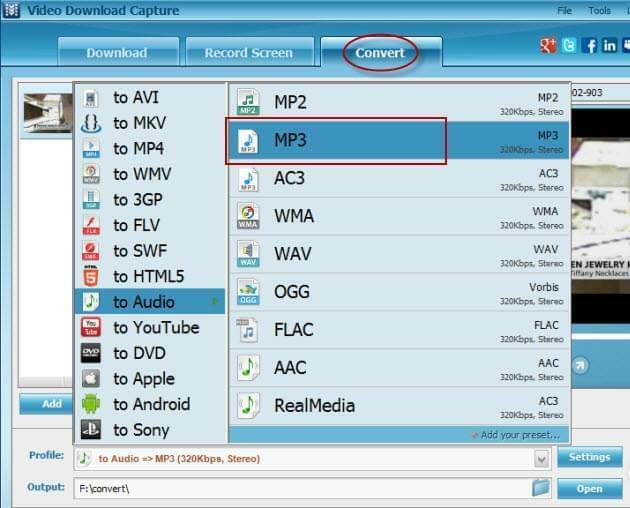 If you want to automatically have the files converted to mp3, then Streaming Audio Recorder could be the perfect choice.